It’s easy – and probably obvious at this point. You just invest in other sources of TV entertainment. By doing this, you pay for what you want at a fraction of the cost, cut out the stuff you don’t watch, and in the process open yourself up to things you didn’t even know you were missing! Sling TV came out of nowhere and truly has to power to displace classic cable. Basically, Sling TV gives you a group of channels that you can watch live with the option to add extra channels if you need them. It’s really that simple. Their basic plan gives you 29 channels, including some really important ones like CNN and ESPN (you can see their full list of channels here → Sling’s Starter Channels). You then have the option to add additional channels if you want them! At $20/month, you’re saving yourself a ton of money AND you have the option to cancel at anytime (that’s big in my book). I’m not sure how long this promotion will run for, but right now they are also offering a free ROKU streaming device if you sign up for 2 months (that’s another huge steal!). You can find that deal here → Free ROKU with 2-month subscription. You can also sign up for a free trial of Sling here → Sling Free Trial. Amazon Prime has a lot of perks, one of which is access to a ton of movies and TV shows. You don’t have to deal with any commercials and it’s a great way to watch an entire TV series that you’ve never seen before. In this regard, they are very similar to Netflix, but they’ve got one big difference – they now provide you with access to all of the shows found on premium networks (HBO, Showtime, Cinemax, Starz, etc). You do have to pay extra for these channels, but many are at discounted rates AND you get to cancel whenever you want (you don’t have to sign on for a whole year). Depending on whether you score a good deal, Amazon Prime will cost you anywhere from $99-$120/year. That’s not bad considering that’s how much you probably put towards the cable each month. And depending on the premium channels you pick, you’ll be looking at anywhere from $8-$15/month. And since you can cancel at anytime with those, you could easily just sign up for one month of great binge-watching! Netflix is the most obvious choice and for good reason! They built the foundation for this type of programming and thus have a huge selection of things to watch. 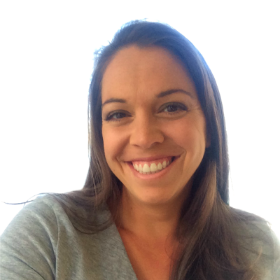 Aside from the variety they offer, they give you the ability to create different profiles for your family, which means your kids only have access to kid shows (and you don’t have to see Caillou popping up as one of your suggested shows). They also have some really great shows that they’ve produced on their own like Orange is the New Black, which totally make Netflix at least worth a try. Another thing I love about Netflix is that they have a great app that enables you to watch Netflix from your phone or iPad. This is great when traveling and even better if you need to distract your kids for a minute (to be honest, I don’t know what I’d do without this feature…). At $8/month, Netflix is one of the cheapest options! For a free one-month trial, head here → Netflix free trial. Hulu used to be just like Netflix until the recent addition of live TV, which completely changes the game for Hulu subscribers! Hulu offers a huge library of TV shows and movies (just like Netflix), as well as some of their own productions (one of the most well-known, recent productions was The Handmaid’s Tale). But it’s the ability to also get live TV (50 channels!) that sets them apart from their competition. The down side? To get the whole package will cost you $40/month. That’s still way cheaper than cable though and when you consider that they give you a combination of Sling, Netflix, and Amazon Prime, it may actually be your best bet. If you aren’t interested in the live TV, Hulu will only cost you $8/month (which is a really great deal!) or $12/month for no commercials. To get the free trial of Hulu, you can head here → Hulu Free Trial. 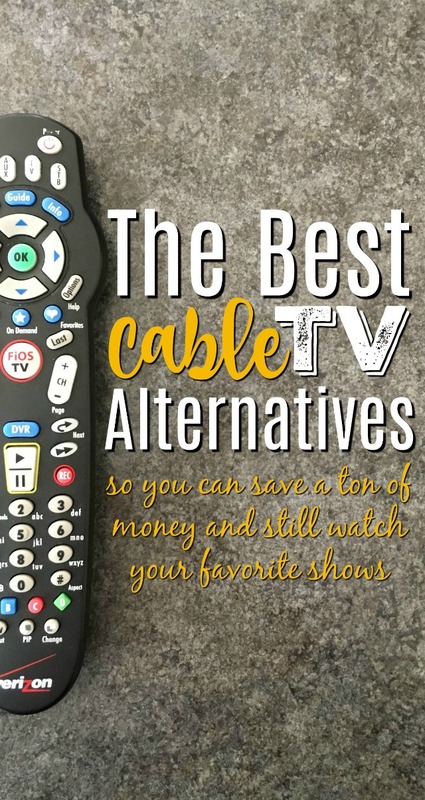 When all is said and done, ANY of these options are cheaper than classic cable TV. Not to mention that all of these offerings give you way more control, with contracts that are very simple to end. This decision is a no brainer! 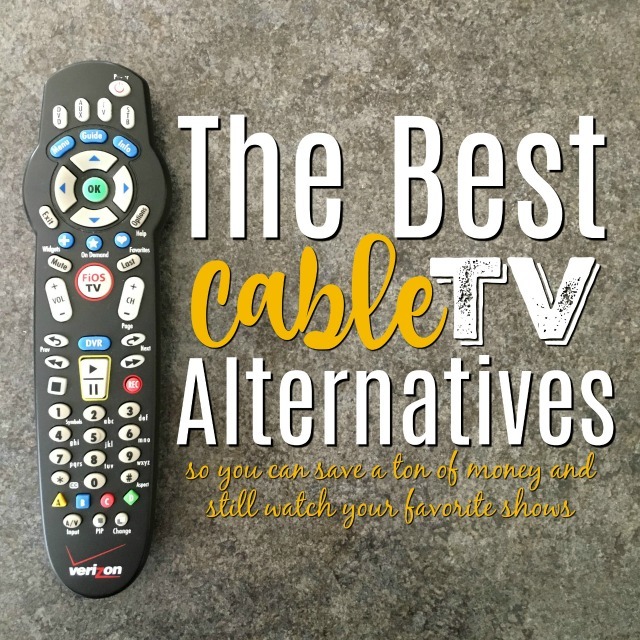 We’ve been using alternatives to cable for about 3 years now and I would never go back. Good luck with the decision process!